This book provides a summarization of the most essential spiritual knowledge that will give you the key to spiritual awakening. 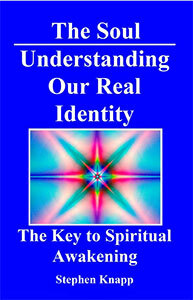 The descriptions will give you greater insights and a new look at who and what you really are as a spiritual being. The idea that we are more than merely these material bodies is pervasive. It is established in every religion and spiritual path in this world. However, many religions only hint at the details of this knowledge, but if we look around we will find that practically the deepest and clearest descriptions of the soul and its characteristics are found in the ancient Vedic texts of India. Herein you will find some of the most insightful spiritual knowledge and wisdom known to mankind. Some of the topics include: How you are more than your body The purpose of life Spiritual ignorance of the soul is the basis of illusion and suffering The path of spiritual realization How the soul is eternal The unbounded nature of the soul What is the Supersoul Attaining direct spiritual perception and experience of our real identity This book will give you a deeper look into the ancient wisdom of India's Vedic, spiritual culture, and the means to recognize your real identity.